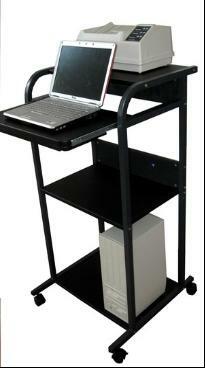 The stability is secured by a 25" deep base, while maintaining a 24" narrow footprint. 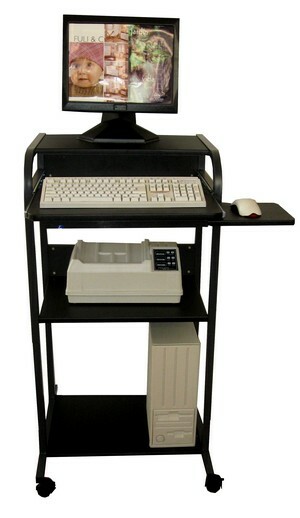 The 2 reinforcement boards on the rear make it a very sturdy computer table. 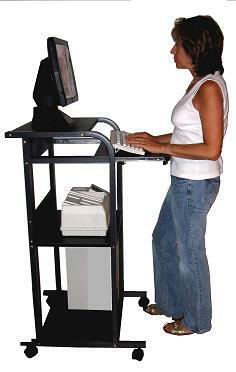 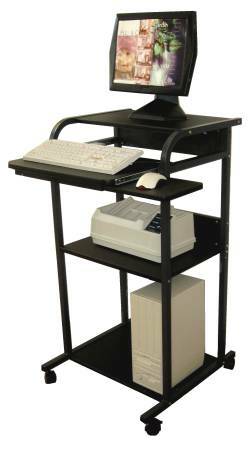 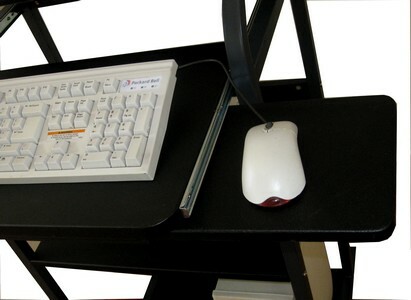 The keyboard shelf allows to operate a laptop computer at an ideal ergonomic typing height, and can be stowed flush. 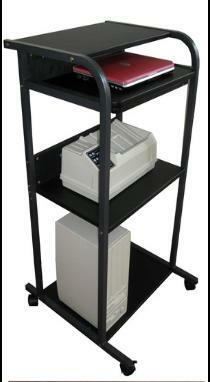 The middle shelf is ideal for a printer, while the bottom shelf is a good spot for a CPU.